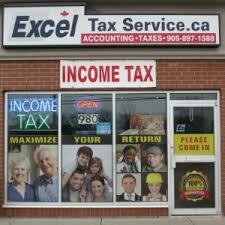 Excel Tax Service opened in 2005. We serve our local Mississauga and Toronto community. With referrals from our loyal customers, we are have become tax professionals of choice in our area. We understand that quality and reliability matters to you. Your peace of mind is our top priority. We care deeply about our relationship with you and for the trust you place in us. We strive to provide an excellent service in terms of quality of work, timely delivery, year round service and value for money.